ANY ENQUIRIES, PLEASE CONTACT VIA PHONE RATHER THAN EMAIL. I WILL BE ABLE TO SEE TO YOUR NEEDS QUICKER VIA PHONE. 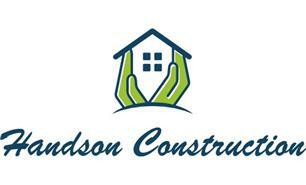 Welcome to Handson Construction. We are a well-established business with over 40 years’ experience. We pride ourselves on delivering quality workmanship for a fair price. We offer all aspects of building work from small scale refurbishments to large scale new builds, and our expertise includes roofing, conservatories, brickwork, general building and extensions. We are genuinely passionate about building, so please contact us today to talk through your requirements and for a free, no obligation quote.